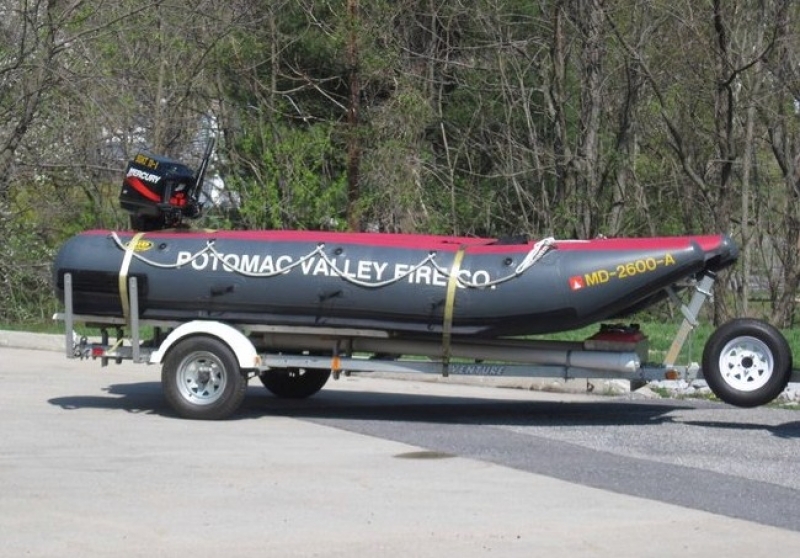 Boat 11-1 is the larger of the two Potomac Valley Rescue Boats. Boat 11-1 is used as the primary boat during the spring and summer when the water level is up on the Potomac and Shenandoah River. Depending on the river levels Boat 11-1 and Boat 11 alternate as the primary rescue boat or the down stream safety boat. Boat 11-1 is used when water levels are up and the river is more wide open. Boat 11-1 is primarily towed by Utility 11, Brush 11 or Engine 11-4, but can be towed by Utility 11-1, Support 11-0, Support 11-7 if needed. Light bar w/ 1 Spot Light and 2 work lights mounted on it.